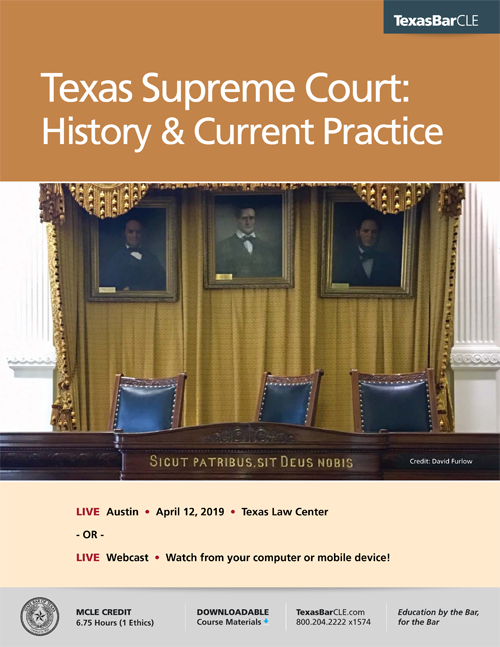 Beginning in 2013, the Texas Supreme Court Historical Society has teamed with TexasBarCLE to host a short biennial symposium focusing on the history of the Texas Supreme Court and its jurisprudence, which is held in conjunction with the Practice Before the Texas Supreme Court course. The next course will be held on April 12, 2019 in Austin, Texas. More information regarding registration for the course may be found here.